Uh, Excuse Me, OCD! I’d Like My Pajamas Back! OCD has an uncanny ability to shrink your world. Case in point, OCD recently took away all of Blake’s pajamas (read on to the end – there is a happy conclusion). It didn’t happen all at once. It happened, slowly, under the radar – until, one day, there were no more pajamas. OCD is tricky that way. You would be correct that it is a mental health condition. At the same time, it can, and does, steal away bits of your life. For some people, Blake included, OCD tells you that you can’t do this activity or that one because something bad might happen. You most certainly don’t want something bad to happen and, even though part of your head tells you that this thought is just nonsense, you cannot get away from that nagging feeling that maybe, just maybe, OCD is right here. Better be safe than sorry. I will begin with a story. A few years back, Blake got sick during the night. He threw up all over the place, including on himself. He was at his grandparents’ home. 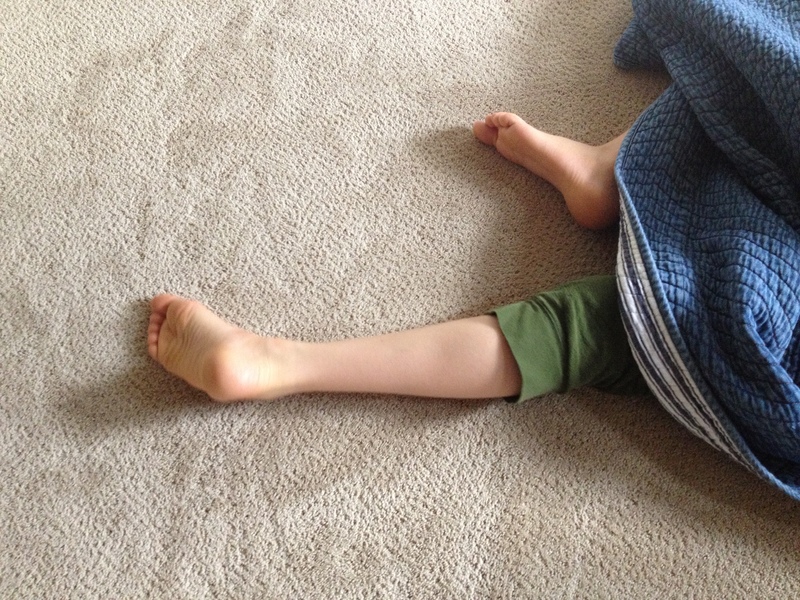 His grandparents woke up and helped him change. They immediately threw the pajamas and soiled linens into the wash. They were fresh and clean in the morning – to everyone except for Blake (or should I say his OCD). OCD whispered in his ear that the pajamas were contaminated and could never be worn again. From that day forward, he would push those pajamas to the back of the dresser, avoiding contact with them. I tried to convince him that the best thing he could do was put them back on and put OCD in its place. He never did. He was never willing to tolerate the discomfort he would have to experience in order to move forward – and he outgrew the pajamas. Blake got several new pairs of pajamas that fit his growing body. He moved from boys’ pajamas to men’s, reflecting his rapidly physically maturing status. I began to notice that a pair or so didn’t seem to be showing up in the wash. When I asked about it, Blake shrugged it off. He just had his favorite pairs, he said, but that was not entirely the truth. In reality OCD, in the form of scrupulosity, was kidnapping his pajamas one pair at a time. Remember, OCD is tricky. It can tie all sorts of things together. Some of the details are sketchy to me, but here is what I know. Something immoral and unbefitting of a religious young man happened in those pajamas. Use your imagination. That’s what I had to do. Although the pajamas were washed, OCD whispered (or maybe it yelled), “Don’t wear those!!! You can never be sure!” One by one, each pajama bottom was relegated to the back of the dresser drawer – until there were no more. I thought it curious that I would find my manling asleep in his swimsuit or in the clothes he had worn the day before. I suspected that OCD was the culprit, but Blake refused to talk about it. My hubby and I let it go for a while, hoping he would want his sleeping clothes back. Instead, we finally pushed the matter when Blake started discarding dishes in the house this past week. We just couldn’t remain silent as contamination was spreading throughout house (by the way, the reason for the discarded dishes was not the same as for the discarded pajamas – just in case you were wondering!). A few days ago, the hubby and I sat Blake down. We let him know that we saw what was happening and that we were concerned that his world was slowly being taken away from him. When we broached the topic of the pajamas, we hit a wall. The reasons for the pajamas being discarded were religious, he noted. He didn’t believe he could get past that. And he was unwilling to tell us why. He went off to summer school. He wasn’t happy. That afternoon Blake admitted that he had actually gotten religious consultation some time ago. I know I’ve mentioned in the past that he corresponds with religious leaders over the internet. Apparently, he’d actually gotten good consult on this. He’d been told that his pajamas were just fine to wear. “Is it that you’re struggling with uncertainty over whether there’s a chance that the advice you got might be wrong? That maybe it’s better to be safe than sorry?” I asked. “Yes, that’s it,” he replied. Oh no. I’d said it. I’d suggested that OCD might be at play. “Maybe not tonight,” he said. I could see from his face that he knew that was true. That evening, as Blake sat watching a video, I stood alongside him. I could see his hesitation. He was considering backing out. Even so, he set a time. Half an hour later, Blake was wearing a pair of pajamas. It didn’t feel comfortable to be in them, but he didn’t back down. He kept them on all night. He felt proud. I felt proud. The hubby felt proud. Blake admitted that he had chosen the least offensive pair, but that didn’t matter. At least he had taken a step. OCD had stolen them one at a time. If Blake chooses, he can get them back – one at a time. This morning I awoke to a very nice surprise. Mrs. Stone at Pebbles On The Road had nominated me for a Liebster Award! Now, I’ve seen these Liebster Awards on other blogs I read, and I’d wondered about them. How cool to have this recognition and learn more about it. Thank you very much, Mrs. Stone!! I am humbled. Now it is my turn to share a bit about this award and to nominate others. Here is what I have learned about the Liebster. 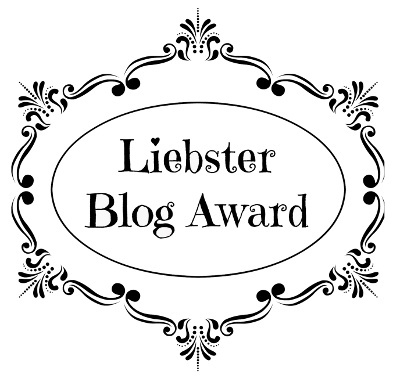 The Liebster Blog Award is one given to newer bloggers who have who have less than 200 followers for their blog (yep, that’s me!). It is a way of showcasing newer blogs/bloggers to the blogging community. Once you receive the award, you can either accept it or opt out of participating. I’m opting in!!! That means I get to nominate other blogs, answer some questions about me, and ask some questions of those I nominate. Hooray! Before I go on too far, I have the responsibility to post the Liebster Award Unofficial Rules. 1. Thank the person who nominated you and post a link to their blog. Once again, Mrs. Stone, thank you so very much for this award. Check out Mrs. Stone’s blog, Pebbles on the Road, a witty, humorous look at the bumps and boulders on the road of life. 2. Display the award on your blog! Done! 3. Answer 11 questions about yourself, provided by the blogger who nominated you. See below. 4. Provide 11 random facts about yourself. Again, see below. 5. Nominate 11 blogs with less than 200 followers that you feel deserve the award. Okay, going to do my best here. There are so many wonderful blogs. 6. Create a new list of questions for your nominees. Let’s see if I can get creative. 7. Post these rules on your blog. Done! 8. Tag your nominees and let them know with a link to your post. 1. Why did you decide to start blogging? Well, originally I found myself writing about our experiences whenever I struggled with something regarding Blake’s OCD. It was therapeutic, and a way to put down into words what was going on in my head. I occasionally shared my writings with a few close people and they seemed touched by them. I wondered if my words could be helpful to others, or if others were going through something similar. I also wondered what it would be like to track our journey over time. Hence, the blog was born. 2. How did you come up with the name for your blog? Honestly, that was no easy task. I went round and round for months before I settled on something that worked for me. OCD In The Family finally percolated up to the top because that’s what our family is dealing with – living with OCD in our midst (Hmmm…maybe I could have named it, “OCD In Our Midst”). 4. Do you use an off-line editor for composing your blog posts, and if so, which one and why? Okay, going to sound dumb here: What’s an off-line editor? So the answer is, no, I don’t use one. 5. If you could cure any disease what would it be? Can’t I cure them all? Right now I’d like to cure all auto-immune diseases because my mom is really suffering from one and no one can seem to figure out what to do. Her suffering is just unfair. 6. What is your favorite thing to do when you have free time? I can’t decide if I like to eat or to cook more! 7. Using 10 words or less, how would you describe yourself? Sensitive, inquisitive, caring, (too) serious, emotional, funny, driven, conscientious. Don’t I sound like a barrel full of fun? 8. If your life were made into a movie, who would play you in the film and why? Julianna Margulies. Why? Because she rocks the curly or straight look and I like to pretend that I look like her. And she’s a pretty amazing actress! 9. How would your life change if you were to win the lottery? So, I don’t play the lottery because I rarely win anything. I once tried to play the nickel slot machines in Las Vegas and I was so angry when I lost my roll of nickels!!! 10. Miracle Whip or real mayonnaise? Miracle whip – light. 11. Paper or plastic? I carry my own bags around with me. 1. I cry when I hear people sing live. 2. I love old china teacups! My grandmother got me into it. Now I can’t stop collecting! 3. I have two turtles as pets and one day I imagine having a whole bunch of turtles and tortoises in my yard. 4. One of the most spiritual moments of my life was when I came face-to-face with a green sea turtle while snorkeling. It was like time stopped. 5. I’m a sucker for murder mystery novels. 6. One day I want to travel by ship down the east cost of South America and get all the way to Antarctica on an ice breaker! 7. My favorite comfort food is macaroni and ketchup! Sounds silly, right? Don’t knock it ’til you’ve tried it. My mom used to make it for me when I was a kid. I don’t know where it came from, but now it’s my go-to when I’m needing a little nurturing. 9. Blake is made of Junior Mints. I craved ’em when I was pregnant with him. 10. Michael is made of tacos and bean burritos! 11. I’d love to sing in a choir, but I’ve never had the guts to audition. 1. International OCD Foundation Blog: I have no idea why this blog has less than 200 followers. It should have a million followers! This blog highlights the latest that is up with the International OCD Foundation, an organization that truly is there for people with OCD, their friends and family, and clinicians and researchers, alike! 2. Ellen’s OCD Blog: Ellen is fifteen. Fifteen! She is a gifted writer who shares her own experiences of having OCD while being an activist who brings awareness to the cause. I appreciate her ability to share openly an honestly, as well as her determination not to give up in the face of this disorder. 3. My Twice Baked Potato: Kelly is an elementary school teacher and a mom to a twice-exceptional young man. I appreciate her honesty and her steadfast commitment to her own son and to the needs of families with gifted and special needs children. 4. Dreams to be Anxiety Free: Emily provides a true service by sharing what it is really like to live with OCD. She has an amazing grasp on OCD and what it takes to get better. I am constantly touched by her wisdom. Wow, I just realized how difficult it is to nominate 11 blogs. I read lots of other wonderful blogs, but in looking at them, they have more than 200 followers. So, I leave you with this small, but mighty, list. 2. Do you have a favorite post you’ve written (and, if so, link us to it)? 3. If there was one thing that you could change in your past, what would it be? 4. What is the one “takeaway” you’d like readers to get from reading your blog? 5. Share a funny moment. 6. Who, or what, inspires you? 7. If a movie were made about your blog, who would star in it? 8. Dark or milk chocolate? 9. If you spent a week in outer space, what would you take with you? 10. What’s your favorite non-blogging hobby? 11. A long lost aunt leaves you a large sum of money. What do you do with it? Cheers all! And thank you again, Mrs. Stone!! Yes, when I sat down to write a few days ago, I was truly having my own pity party. As those of you who read my last post know, it really was my own party. I was all alone, huddled in my hotel room at the OCD Conference, pondering OCD, my role in how it affects our family, etc. For certain I was exhausted. I did feel all alone. The emotion of the conference was hovering, and I was nervously contemplating how I was going to present to the folks who would be attending my presentations. Let me tell you, now, what was wonderful at the OCD Conference. What was wonderful was that, yet again, around 1,400 people from all over the United States, Canada, and many other countries found their way to the conference to connect, to share, to laugh, to cry and to grow. As Jeff Bell noted, the OCD Conference is special. There is no other conference that I have been to where professionals, sufferers, friends and family all come together on common ground. No one knows better than anyone else. In an atmosphere where approximately 1/3 of the attendees have OCD, 1/3 are professionals who work with OCD, and 1/3 are friends and family, the comments of the person with OCD carry as much weight as the researcher who has been studying the disorder for more than 30 years. Personally, as a mom of a teen with OCD and a psychologist who treats it, I learn equally from all who share. The presentations and activities spanned a wide range. There were presentations about the latest research on PANDAS (Pediatric Autoimmune Neuropsychiatric Disorders Associated with Streptococcal infections), panels on new and immerging treatments for families, question and answer discussions on scrupulosity, and panels by teens who shared their successes. There was a family boot camp (where no one wanted it to be over), a virtual camping trip (led by Jonathan Grayson), a ping pong tournament, many support groups, and lots and lots of opportunities to socialize. Through it all, I watched the tears. I watched the hugs people gave to support one another. I watched the lights go on in a parent’s eyes when they learned something new. I watched children and teens delight to meet someone else who had OCD – or who had a brother or sister with OCD. I watched professionals reaching out to people with OCD and to their friends and family. 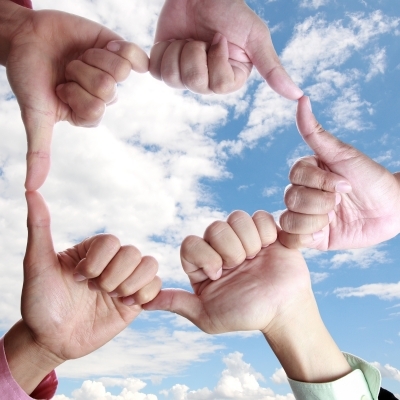 I watched a community – a community that, for 3 days, wrapped its arms around one another and promised to be there for each other. That last part may be the most wonderful part. So many people with OCD believe that they are alone. This gathering tells them that they are not. It tells them that there is hope. It offers a guiding light to follow on the journey and a hand to pick people up when they fall. I am writing this as I sit in my hotel room at the 21st Annual OCD Conference. This conference is a godsend to many individuals and families with OCD. Here, top experts mingle with OCD sufferers, their family members and friends, clinicians and researchers. The playing field is level. Anyone can attend any session and the experience of an OCD sufferer holds as much weight as that of a seasoned researcher. It is unlike any other conference I have attended – either as a professional or simply as a mom. I am grateful to the International OCD Foundation for having created this conference as a way for people to connect, get information, and find hope. It is Saturday evening. 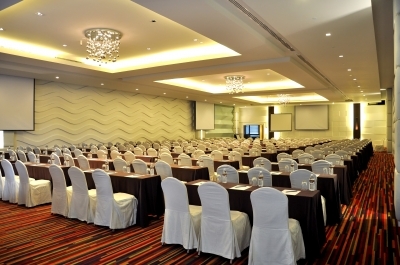 The conference ends tomorrow at lunch time. The Saturday night social is going on. Conference attendees are eating and dancing, but I am up in my room. I am purposely isolating tonight. Sure, I have a presentation to do tomorrow at the conference, but that’s not why I am in here, alone. It’s that tonight I don’t feel much like the professional who is to present tomorrow. Tonight, I feel the sadness of a mother who aches for her child. Try as I might to look like I am enjoying myself, or to engage with the other conference goers, I can’t. Two years ago, we attended this conference in Chicago as a family. I felt strength in our joint attendance. Blake’s OCD was getting worse, at the time, and a couple weeks later he would be in an intensive outpatient program, but there was power in our whole family facing this and learning together. I think I understand why the rest of my family is not here with me – maybe it is that everyone is just sick of OCD – but I miss them just the same. My in-laws have been able to be here for part of the conference, and I am grateful that they can share in this experience, and also that they can get answers to some of their own questions. The questions that plague me are here swirling around in my head. Why is my son still right in the middle of his OCD? Why does he not see what is going on, not realize that he even has symptoms? Is it really just everyone else’s problem? What are we doing, as a family, to help maintain his symptoms? What do I need to change in myself? Will things ever truly be “better?” Will the tension that exists in our home ever decrease? Will Blake ever be able to be one of those men who is able to tell his victory-over-OCD story? For now, I don’t know. I listen to the stories of triumph with some envy. And then I am still left with my questions. They are not meant to be answered right now, but I think I will return home with more intent to observe, quietly, what it exactly is that is going on in our home. Maybe I can learn more about myself if I sit quietly. At least for now, that is my plan.